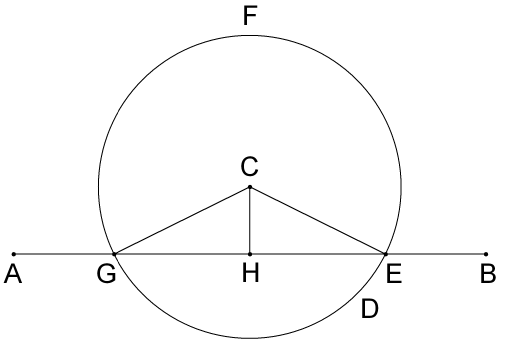 Euclid's Elements. Book 1. Proposition 12. To draw a straight line perpendicular to a given infinite straight line from a given point not on it. This proposition allows the creation of a perpendicular line upon an infinite line, using a point that is not on it.